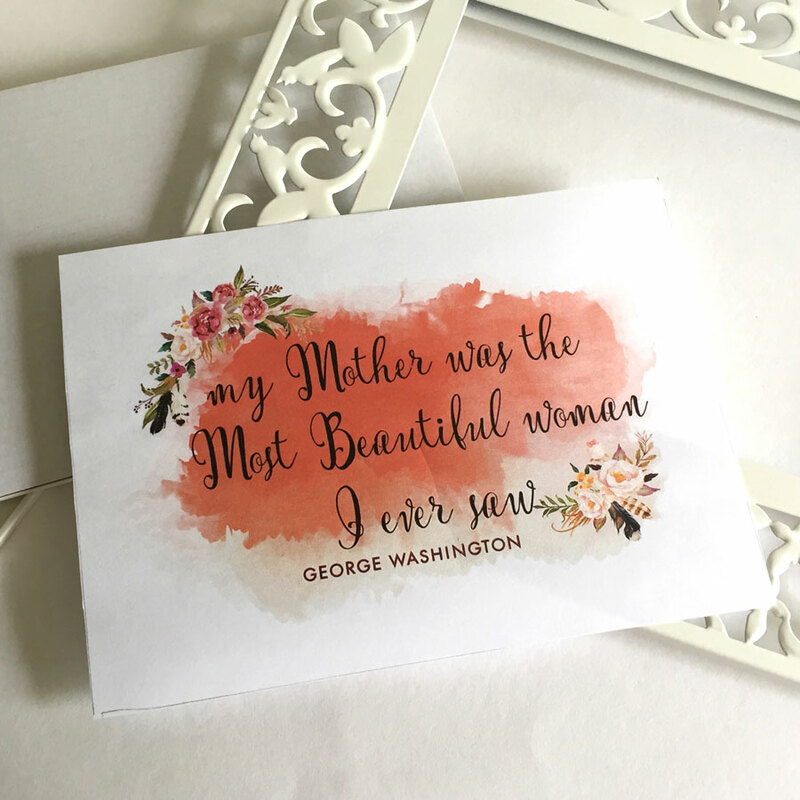 Here’s fun and free Mother’s Day Printable! We scoured through hundreds of quotes about Mothers from lots of famous people like Amy Tan and Oprah Winfrey. 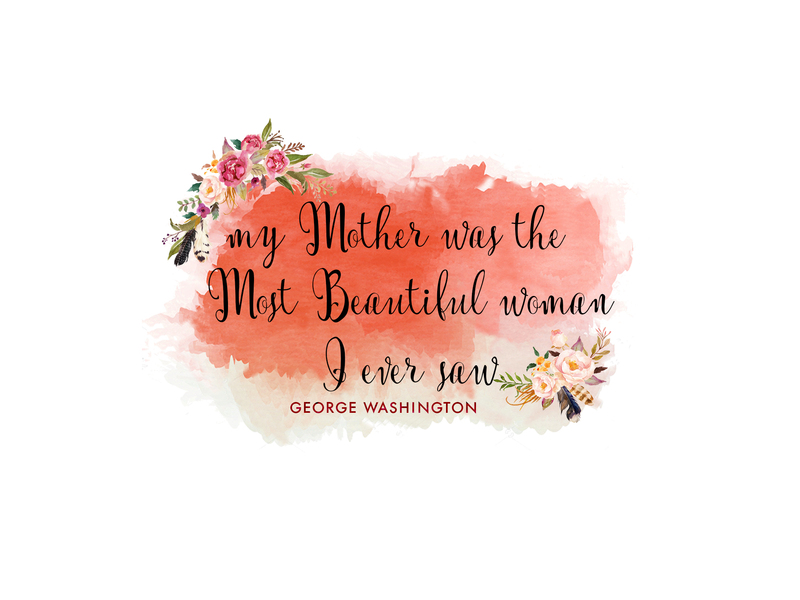 But we fell in love with this quote by George Washington and created a free Mother’s Day Printable with a watercolor background and pretty flowers. Isn’t it a sweet sentiment? 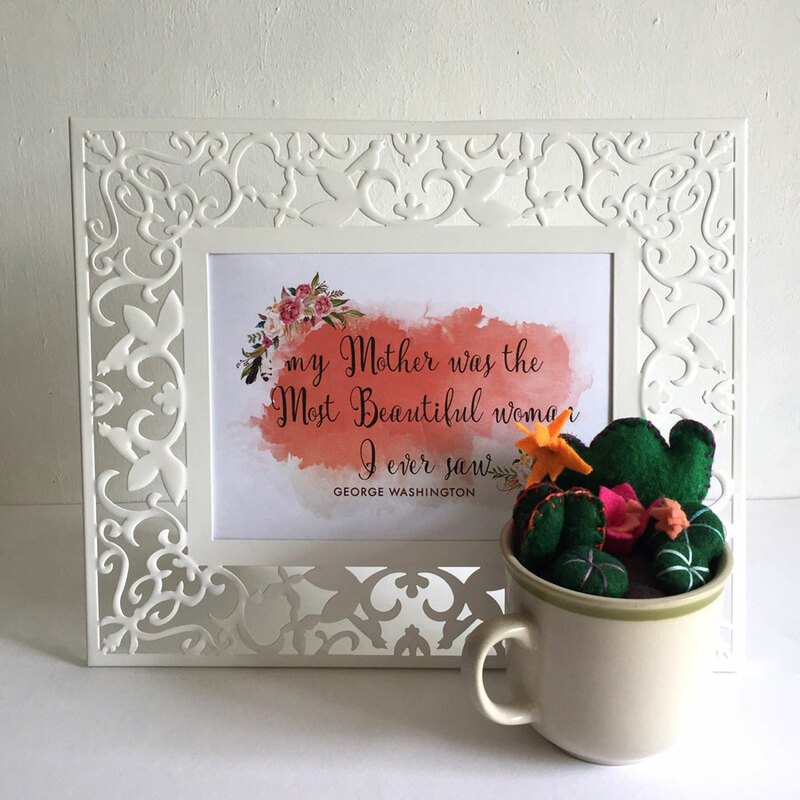 You can make this Free Mother’s Day Printable into a handmade card or frame it and give it as a gift. For ours, I found a couple of white adorable frames and framed the print. Downloading and printing this quote is easy. You won’t need to alter the file at all. Just download the file at the top and bottom of this blog. Or if you know your way around graphic files, here’s the same printable with no background. The one included in the links has a white background. 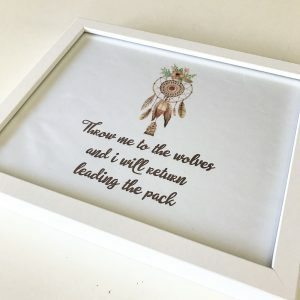 After you print it out, you can cut the edges to size it to a particular frame or cut it out and mount it to a heavyweight matte board. 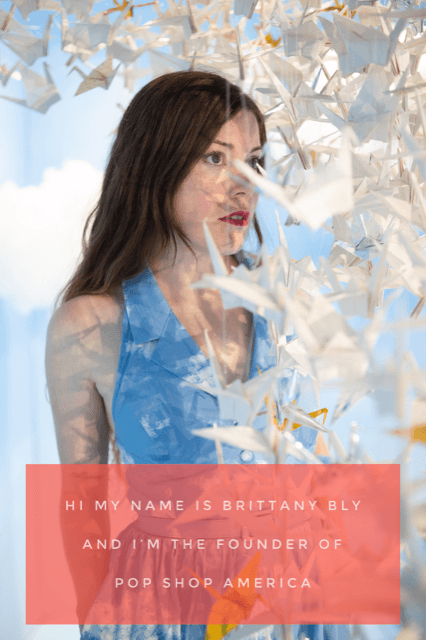 Pro Tip Free Printables: Want a professional touch? Print it on thick white cardstock. 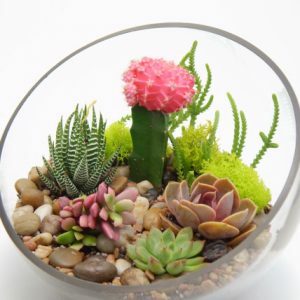 Holiday DIY’s can be so fun and rewarding. This printable is a cool way to accessorize any gift and can compliment flowers, jewelry, or even a hug. 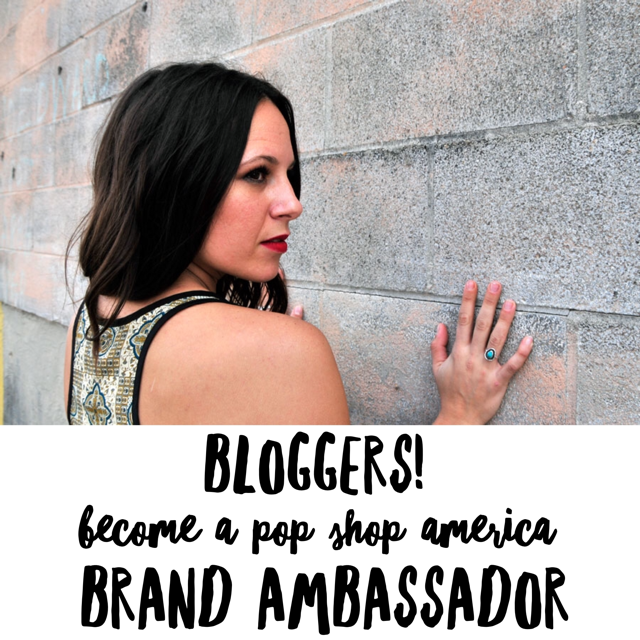 Looking for more free printables at Pop Shop America? Well look no further. How about some Free Printable Summertime Earrings here. 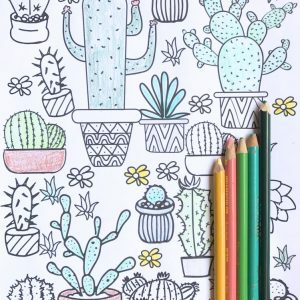 Or Printable Adult Coloring Book Pages that you can download here. 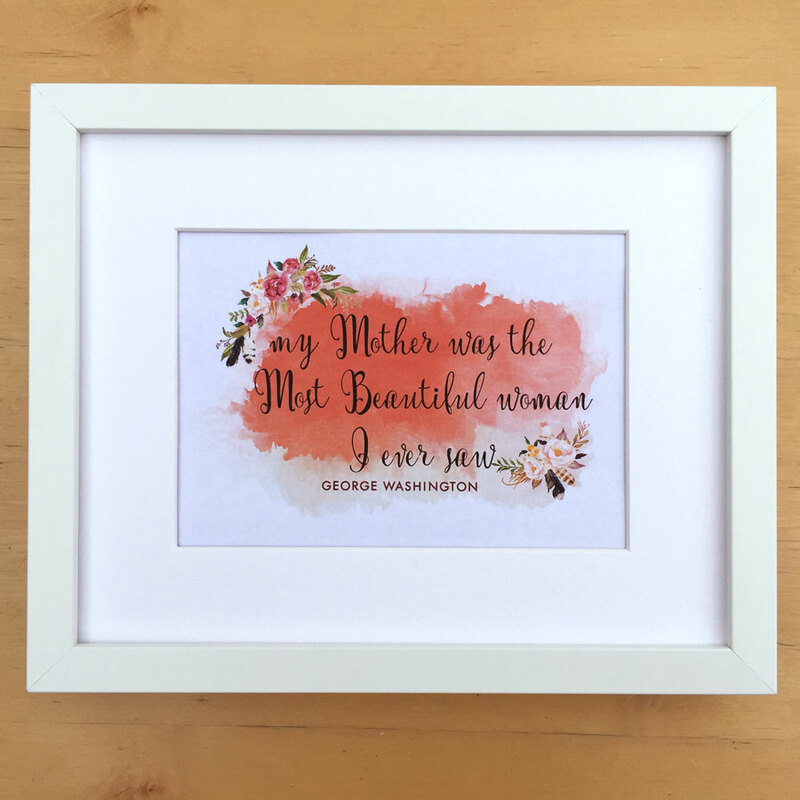 What a beautiful quote, looks lovely in the frame, it’s a shame we have already had mother’s day here in the UK. Such a cute idea!! And so simple, I could totally do this. I love putting quotes in frames like that. And you’re right – that quote is absolutely perfect! 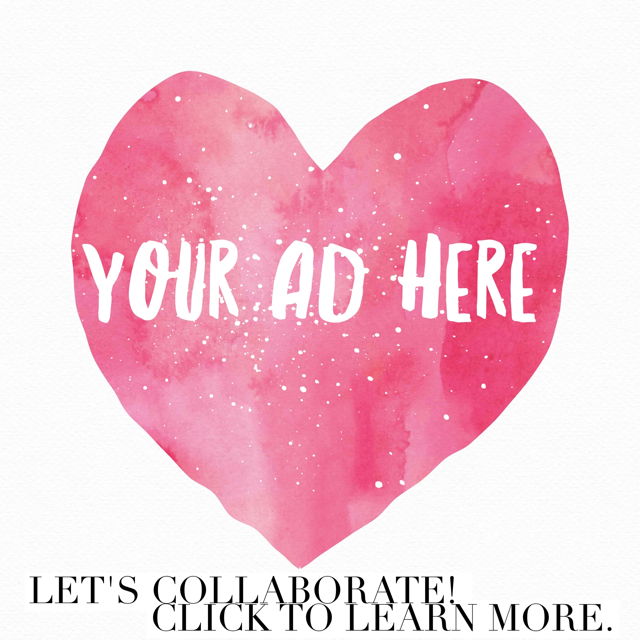 Gorgeous printable!